Today I’m back with another installment of Bloggers And Bags after a really long time. I kinda missed peeking into other blogger’s handbags so I thought that I’d get back on it and have some amazing bloggers lined up so keep an eye out! One of the first blogs that triggered my love for international blog reading would have to be Wasted Fashion. I loved reading about Chloe’s adventures while she still lived in Singapore (now Las Vegas) while totally admiring her sense of quirky style. Chloe is the first international blogger in my Bloggers And Bags series so definitely check her blog out and share the love. I change bags every couple of weeks because I like variety and I want to give enough attention to all of them. My signature look is crazy bright COLOURS and kitsch. I’m perfectly okay with someone calling me tacky or juvenile. I’ve been told I don’t look quite 36 so I’m stretching that buck for as long as I can! 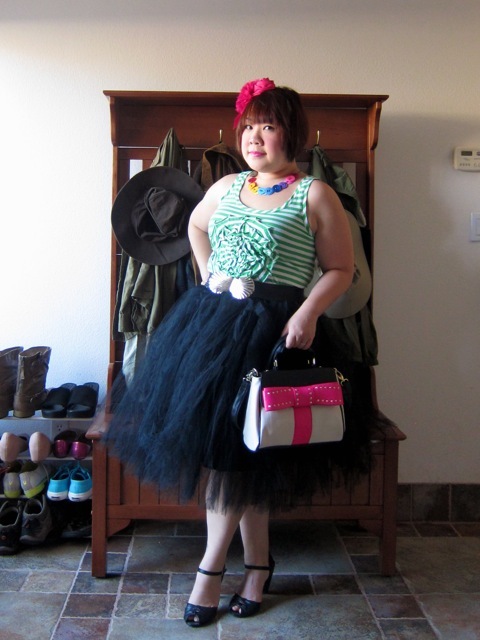 This is a Betsey Johnson bag. It’s got a detachable and adjustable strap so I can wear it as a sling or a cross-body. I got it earlier this year and it’s only about 6 months old. The pink bow detail does make it quirky and perhaps a little unbecoming for someone my age but I’ll be the first to admit that it doesn’t bother me! I would put my pink iPhone 5C on the list and in the photo except I don’t usually lug it in my bag (mostly in my hands) and I’m using it to take pictures for this! 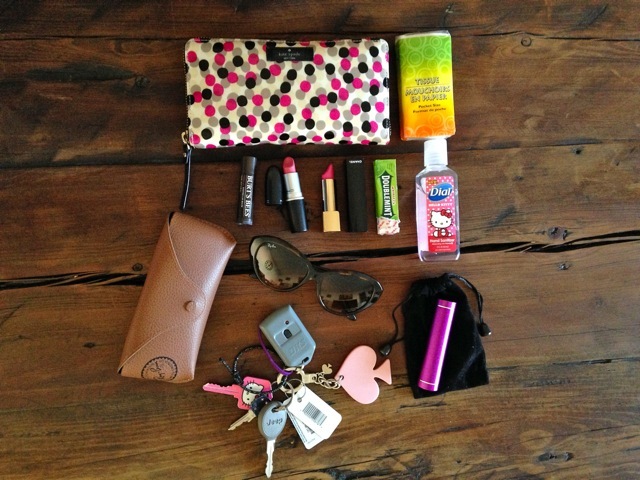 A huge thank you to Chloe for showing us what you carry in your handbag. Don’t forget to connect with Chloe on the above mentioned platforms! Tags: Blogger, Blogger Love, Chanel, Fashion Blogger, Handbag, Handbag Essentials, Hello Kitty, international blogger, Kate Spade, Las Vegas, MAC, Pink, Rayban, Singapore, Wasted Fashion. Bookmark the permalink. This was such an awesome post! Bloggers and Bags gone international 🙂 thank you for introducing me to a new blog as well. Thank You so much for reading Lauren, I’m glad you’ve enjoyed it. Please do check Chloe’s blog out, you’re going to love it. LOL I love ”bloggers and bags gone international”.